drogBa signs with Chelsea | Who's Playing Who? See what I did there? 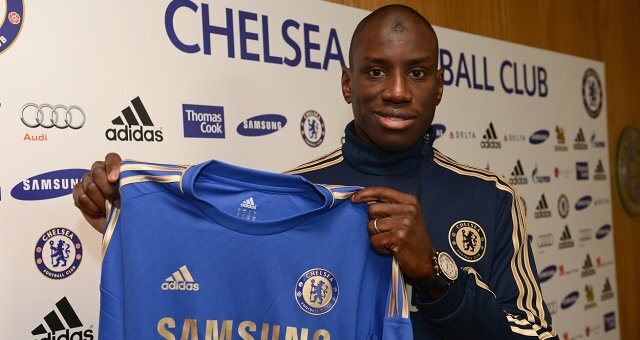 Hah… Anyway, Demba Ba has finally left Newcastle United, signing a three and a half year deal with the European champions. Sure, he’s not the highly coveted Radamel Falcao, but for a fee reportedly around the £7 million mark, Ba represents tremendous value. Where else would you get a proven goal scorer at this level for that price? I know he’s injury-prone, but it seems like a great deal for Chelsea. Delivering a parting blow to his previous club, Ba seemed to be already enjoying his new surroundings. Meanwhile, Newcastle confirmed the signing of France international right-back Mathieu Debuchy, Lewis Holtby and Spurs reached a pre-contract agreement for the Summer, and experienced defender and free agent Tal Ben-Haim has joined QPR. Elsewhere, Arsenal finally offloaded Marouane Chamakh… But only on loan to West Ham. Finally, Fulham secured the services of highly-rated 19 year old midfielder Chris David from FC Twente. However, with two first names, it remains to be seen whether he can be trusted to deliver for his new club.